The All-In-One Cream replenishes the natural nutrients in our body that diminish as we age, and are essential to maintaining soft, supple youthful looking skin. 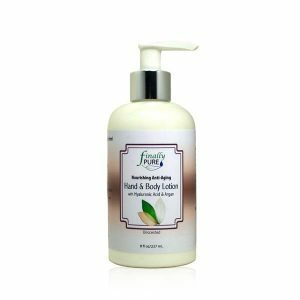 This natural blend of rich botanicals provides intense moisture to dry or damaged skin. It provides your skin with the perfect balance of hydration, nutrition and antioxidants. 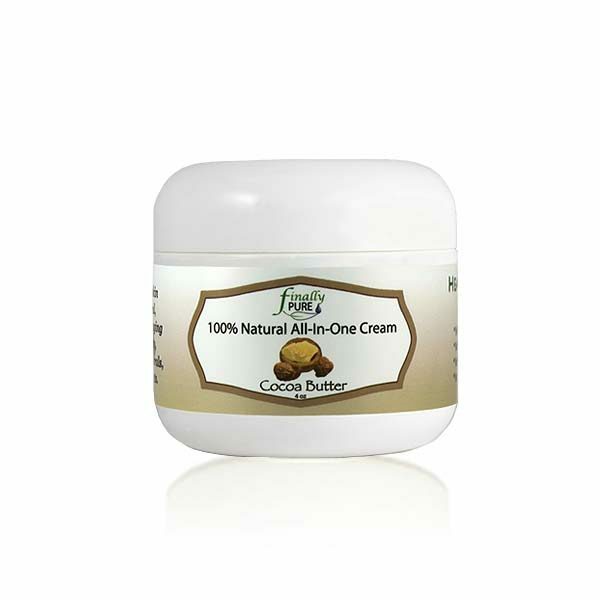 Cocoa Butter: Excellent natural moisturizer, high in antioxidants which help fight off free radicals, (free radicals can cause skin aging, dark patches, and dull skin.) as well as essential fatty acids. Deeply penetrates the skin. Coconut Oil: Coconut Oil: Soothes, softens, helps to prevent moisture loss. Jojoba: Readily absorbs, anti-aging (natural Vitamin E), loaded with nutrients (Vitamin B complex) and minerals (chromium, copper and zinc), ultra hydrating. Acai Fruit Oil: Mega nutrients Omega 6 and Omega 9, vitamins (B1, B2, B3, C and E), minerals (iron, calcium, potassium and phosphorus), phytosterols, and essential amino acids. Aloe Vera: Contains a plethora of antioxidants including beta carotene, vitamin C and E, and over 75 different nutrients including vitamins, minerals, anthraquinones or phenolic compounds, lignin, saponins, enzymes, sugars, sterols, ammino acids and salicyic acid, all beneficial for healthy, glowing skin.